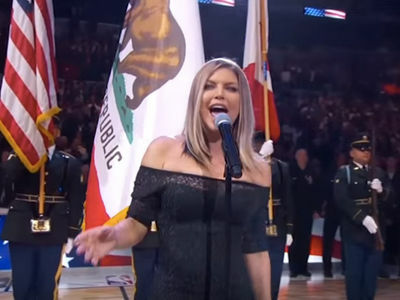 Pop star Rachel Platten -- the chick who sang "Fight Song" -- botched the National Anthem in a SPECTACULAR way at an NWSL soccer game over the weekend ... and it's hard to watch. Platten has performed the song on big stages before -- even singing it at the World Series! But when she grabbed the mic in Salt Lake City on Saturday before the Chicago Red Stars took on the Utah Royals ... it was amateur hour. It started bad ... "Oh say can you see, by the STARS early light." It got worse ... she had to restart twice and even asked for someone to give her the lyrics. The crowd tried to join in and help her along, but the lyric blowing must have been contagious, because they were messing up too! She eventually recovered and finished ... but good lord.